Classic Film and TV Café: Adam Adamant and The Baron: Beware British TV Bad Guys! 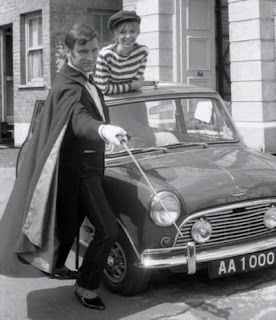 Adam Adamant and The Baron: Beware British TV Bad Guys! Gerald Harper as Adam Adamant. In the wake of the international success of The Avengers, The Saint, and Secret Agent, several inevitable imitations hit the British airwaves of the 1960s. My favorite was Man in a Suitcase, which starred American Richard Bradford as a cynical, disgraced former espionage agent. I recently sampled two other series, one which displayed a spark of promise and another that left me unimpressed. Adam Adamant Lives! opens with our hero, the aristocratic title character, attending a royal social function at Windsor Castle in 1902. After explaining to his beloved Louise that he cannot marry her ("My love for you could be used as a weapon to destroy me by the enemies of England"), Adam pauses long enough to thwart an assassination attempt. He then receives a mysterious message from Louise, who has apparently been kidnapped by Adam's arch-nemesis, The Face. Although he suspects a trap, Adam rides off (yes, on horseback) to a deserted mansion where he is captured. The Face, who (ironically) wears a full facial mask and whispers creepily, reveals that Louise is one of his agents. He then injects a mysterious drug into Adam, who blacks out. Sixty-four years later, construction workers discover Adam in a block of ice--and he is revived! Gerald Harper with Juliet Harmer. All of this happens in the first ten minutes of the first episode. If the rest of Adam Adamant Lives! had main-tained the same stylish, witty tone, then I'm confident it would have become a beloved classic like the aforementioned series. However, the creators instead opted to pair Adam with a free-spirited young woman named Georgina. She helps Adam adjust to the modern conventions of swinging London and also accompanies him on his adventures. In the series' second episode, Adam gains a manservant when former puppeteer William E. Simms joins the team. Gerald Harper makes Adam Adamant a larger-than-life character--intellectual, caring, sometimes snobbish, and supremely confident. He can handily disperse a gang of thugs with his sword cane, but modern women remain a mystery. His performance is the principal reason to check out this TV series. Alas, I never warmed up to Juliet Harmer as Georgina nor Jack May as Simms. I also kept wondering if it wouldn't have been better to leave Adam in Edwardian times. The recycled contemporary plots just aren't worthy of our intrepid hero. Yes, it would have cost more to shoot a period adventure, but I think Adam Adamant Lives! might have stood out better against the competition. At least, the creators of Adam Adamant Lives! tried something different. In contrast, The Baron is a Saint wannabe that lacks a charismatic star like Roger Moore. It was based on a book series by prolific British author John Creasey, who wrote hundreds of novels under his own name and over 25 pseudonyms. His most popular book series was probably Gideon of Scotland, which was adapted as the 1965-66 TV show Gideon's Way. 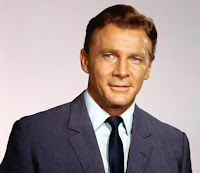 Steve Forrest as The Baron. The Baron was launched the following year and starred American actor Steve Forrest as John Mannering, an antiques dealer and former Army officer. When several valuable art pieces are stolen by a diplomatic courier, British intelligence enlists Mannering to retrieve them. He is given several Bondian gadgets--including a lighter that can fire a single bullet--and then told that if his mission is uncovered, the British government will disavow any knowledge of it (shades of Mission: Impossible). A glamour shot of Sue Lloyd. When he reaches his hotel room in the fictional country of Pamaranea, he finds an attractive woman in his bathtub (with bubbles covering enough to satisfy the TV censors). She turns out to be Cordelia Winfield (Sue Lloyd), his British intelligence contact. Originally, Lloyd was intended solely as a guest star. However, network executives thought she made a better sidekick than Paul Ferris, who played Mannering's assistant (and basically ran the antiques business). So, Lloyd returned as Cordelia in the ninth episode and Ferris was dropped from the series. Sue Lloyd was the best part of The Baron for me. The affable actress made a good impression opposite Michael Caine in The Ipcress File (1965). She also played John Steed's partner, Mrs. Hannah Wild, in a stage adaptation of The Avengers (I might have preferred her to Linda Thorson's Tara). Unfortunately, the title character in The Baron is played by Steve Forrest, a rugged actor who seems out of place as an antiques dealer/part-time government agent. He handles the fisticuffs with flair, but when he throws off a wisecrack--well, it just lays there like a popsicle on a hot sidewalk. I honestly think that if you kept the same scripts, retained Ms. Lloyd, and inserted Roger Moore as Simon Templar that The Baron would have been a reasonably entertaining series. The Baron was axed after a single season. Sue Lloyd's promising career never took off, but Steve Forrest remained active in film and television for three decades. He may be best remembered as Lieutenant Hondo Harrelson on S.W.A.T. (1975-76). It was a modest hit for two seasons, but fondly remembered for its title theme, which hit #1 on the Billboard Hot 100 chart. I never even heard of Adam Adamant Lives! Sounds like a great series - especially if it featured Gerald Harper. I actually enjoyed The Baron quite a bit. I thought the episodes were written better than the Saint, although I agree that having Roger Moore as the Baron would have made the series even better. The production team from The Baron should have moved over to the Saint when the series ended, perhaps that would have added a little pep to the Saint. 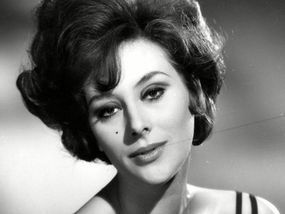 Sue Lloyd reminded me of a 60's version of Kay Kendall. She always captured attention when she was on screen, it was a pity she didn't get better parts. I thought it fun to note that Adam Adamant had a strong lead but less strong costars while The Baron boasted a very strong costar with a less capable lead! I remember liking the first episode of Adam Adamant much better than subsequent ones and also preferred the earlier time period. It is always fun to see a post on lesser known television works! I love ITC and their shows, even the minor ones- like THE BARON - have their merits (and nearly all feature cool opening titles and great theme tunes, something whihc sadly can't be said of most shows these days). I think you're being a bit harsh on ADAM ADAMANT, but definitely agree that Gerald Harper is far and away the best thing about it. 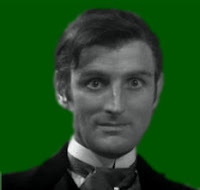 I especially love how he always stays true to his Victorian character, despite all the swinging sixties shenanigans - not to mention the alluring Georgina (Juliet Harmer - hubba hubba!) following him around like a puppy. DVD Spotlight on "The Bold Ones: The Protectors"